Ruby May Strain passed away March 31, 2019 in Eagle, Idaho. She was born in Cassville, Missouri, daughter of Elzie and Roma Shrum. She married Howard Wingate in 1948. To this marriage a son was born (Samuel Wingate, deceased) and a daughter (Sandy Hodges Stone of Eagle, Idaho). 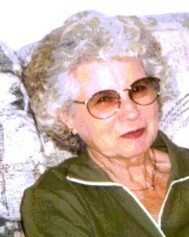 She lived in the Boise, Meridian, and Kuna areas, later moving to Idaho City after they retired. Mom was a hard working woman who always had an immaculate house and yard full of beautiful flowers. For many years, she milked cows and worked from sun up to sun down. She had a lot of heartache in her life, losing her son after he came home from Vietnam in a car accident in downtown Boise, at the age of 24. She also lost her husband (Howard Wingate), son in law (Wayne Hodges) and granddaughter (Bridgett Hodges Saurey) within 4 years to cancer. She lost her oldest sister (Maxine Price) to breast cancer & her youngest brother (Leroy Shrum) to a mining accident at Stigmite Mine. She married Jack Strain in 2002 and moved to Garden Valley, Idaho. He passed away in 2008. She was diagnosed with Alzheimer's disease in 2014 and spent her last 3 years at Ashley Manor in Eagle, Idaho. She leaves behind one daughter (Sandy Hodges Stone) and son in law (Ron Stone of Eagle, Idaho);one grandchild (Brian Hodges of Santa Monica, California); one great grandchild (Brittany Saurey of Rexburg, Idaho); one sister (Verdia Baker of Nampa, Idaho); and one brother (Elbert Shrum of Emmett, Idaho). The family would like to thank Hospice and the wonderful people at Ashley Manor, Eagle, who took part in lovingly caring for Ruby.